Appearing on the first page in Google’s search results is a key marketing strategy for many companies. n reality, only a few businesses achieve that goal for their target keywords. 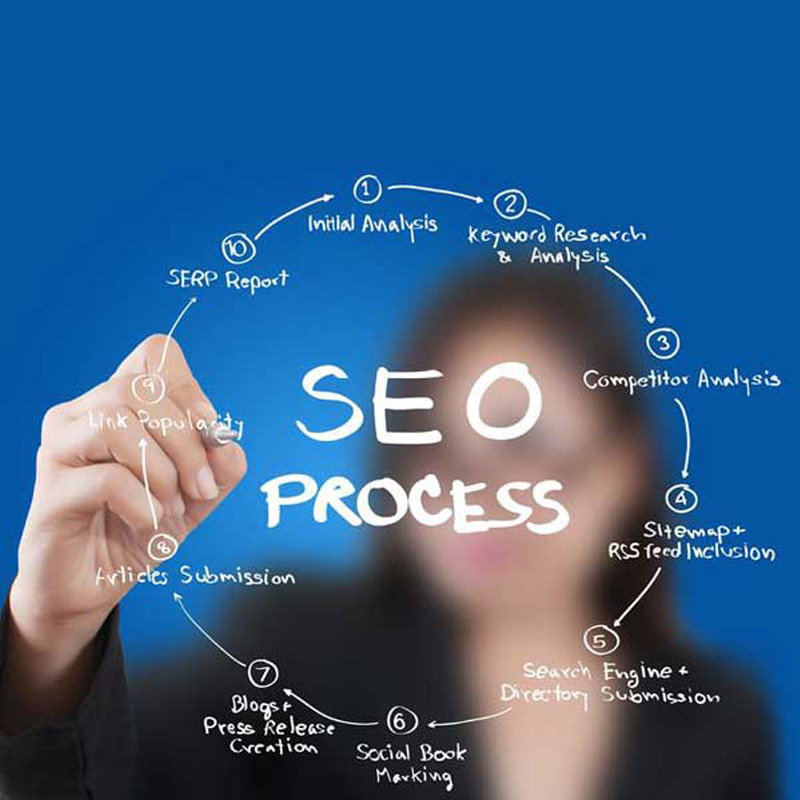 Those who do have implemented Search Engine Optimisation (SEO). In short, SEO is the process of optimising your website in relation to certain key phrases, with the aim being to improve your search engine results page (SERP) rankings. Choosing an SEO company is a big decision, don’t put your business at risk, choose the web professionals with over 10 years of experience. Content that tells a story about your products and services and provides value to the visitor by helping to define and solve their needs. Links to your site from relevant websites, links are still important but now relevance is critical. Social networking, while not necessarily a direct ranking factor, is increasingly important and planned activity on relevant social media sites is now essential. Correct on-page and on-site technical configuration. Firstly, we undertake a thorough site analysis with the help of Web Master Tools and Google Analytics, as these diagnostic programs allow us to work out how your site is being viewed by major search engine such as Google and Bing. Via site analysis, we can determine which sections of your site are in need of work – whether we need to make changes to the Sitemap or fix any problems. These issues affect how a search engine ‘crawls’ your site (and therefore they affect your SERP ranking), so it’s crucial to ensure they are addressed from the beginning. Following on from key phrase selection, on-site work begins. This includes everything from page titles and URL structure, through to website content and internal content links. On-site work aims to ensure your website appears relevant to the search engine ‘crawlers’ in relation to your chosen key phrases, whilst also improving user experience. When it comes to on-site work, it’s important to appease both Google and your customers! In addition to on-site work, we also carry out off-site work. Also known as link building, this SEO component is not viewable to visitors. Link building is the process of placing links to your site on blogs and other relevant websites, with the aim being to improve your ‘authority’ and ‘relevance’ in the eyes of search engines. In short, a link acts like a ‘vote’ for your website. In a nutshell, SEO is a combination of site analysis, key phrase research, on-site work and off-site work. These components are carried out by respective specialists, and are designed to work together to achieve one primary aim – higher SERP rankings! Unlike other SEO companies, TSS Smart offers clients an unbeatable 90 day guarantee – we promise to get your website onto page one of Google’s search results within three months of completing your on-site, or we will ‘work for free’ until we do. We always deliver on our promises. We find the keywords your customers are using to find your business, industry or niche. Targeting keywords that increase your visibility among potential customers. We increase visibility organically, by creating and then marketing your content to promote your business’s position as an industry leader. Our ROI focused Google AdWords setup and management services maximise your return on investment. We use strategic, sustainable White Hat link building methods that increase traffic, visibility, and your business’s reputation. Embodying design is a crucial component of the SEO and conversion process, we analyse, test and improve your website’s usability, improving the customer experience and converting more views into sales. While SEO is considered a long term strategy, PPC has the ability to generate almost instantaneous results. PPC ads are essentially the advertisements you see at the top of the SERPs, above the organic listings. Businesses bid for these ads, and prices are generally based on how competitive the industry is. When a potential client clicks on your advertisement, you are charged a fee – hence the name pay per click. Utilising data metrics captured by Google Analytics we’re able to analyse how people are behaving on your website and strategically improve it. At TSS Smart, we offer PPC services for Google (Google AdWords), and also Bing. For a set monthly fee, we can manage your PPC spend to ensure you are getting the best ROI. With PPC, it can be easy to over-spend without seeing the results you are looking for – our experienced team will make sure this isn’t the case. Many businesses find that PPC works well in conjunction with a search engine optimisation campaign, as it provides instantaneous results while your SEO kicks into gear.